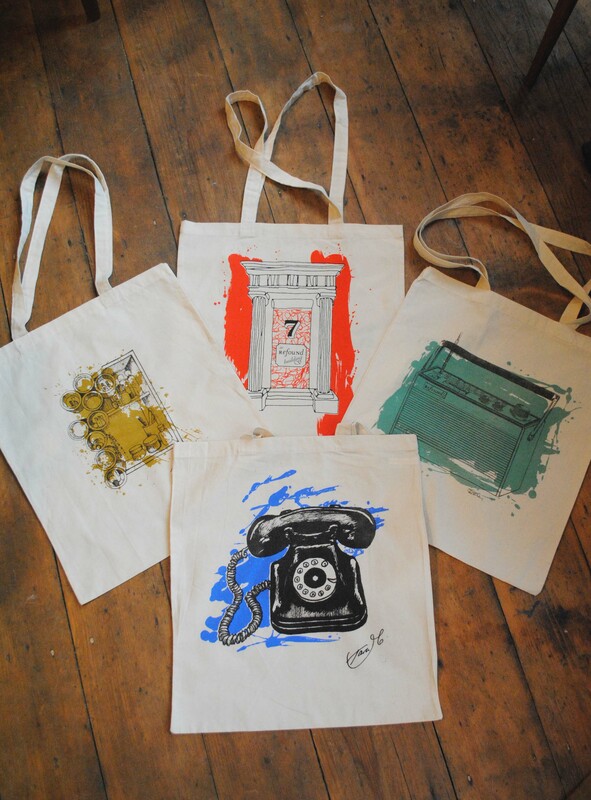 It’s time to introduce the winners of our tote bag design competition and see their designs in the flesh! In a world of mass-production, mass-market and well…..mass-pretty much everything, we’re all for showcasing the beauty of bespoke design. So, well aware of the plentiful artistic savvy amongst our fans, we created a competition for the best hand-drawn designs for limited edition screen-printed tote bags, all based around the theme of ‘refound.’ With the winners designs now transformed into 3 beautiful, original and meaningful screen-printed bags, it’s time to showcase the beautiful results! A big thank you and congratulations to our 3 winners Deborah Gormley, Tara McNeill and Esme & Bill Edwards, whose thoughtful ‘refound’ designs are now immortalised in our range of unique bags. Also thank you to our very own printmaker Sarah Crooks for all her hard work in printing these wonderful things! This is the first of the series of blog posts recounting the story behind each ‘refound’ design and what inspired each of our designers. 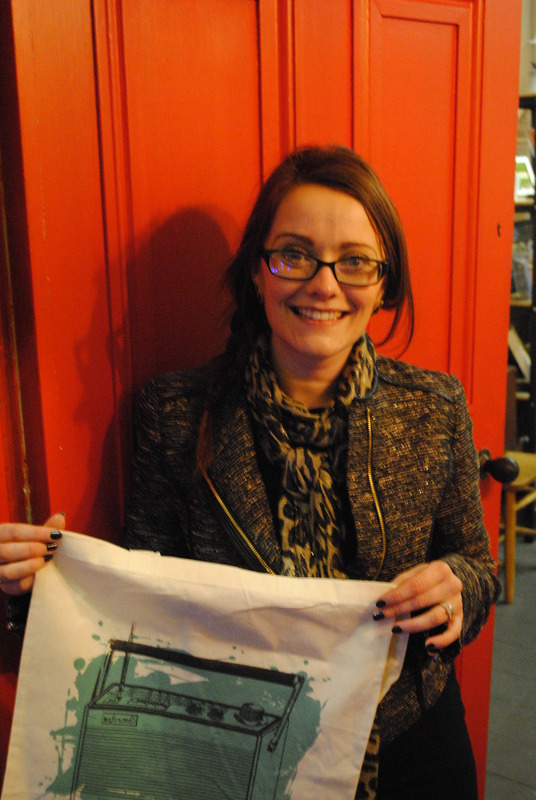 Let’s start off with…..
Deborah Gormley – the creative mind behind the ‘ReFound Radio’ Bag. Tell us a bit about yourself Deborah…. I’ve been a teacher for 9 years now, teaching history, art, LLW and geography. My hobbies include drawing and typographic illustration, indoor bowls and torturing my long suffering husband Richard with my interior design efforts. 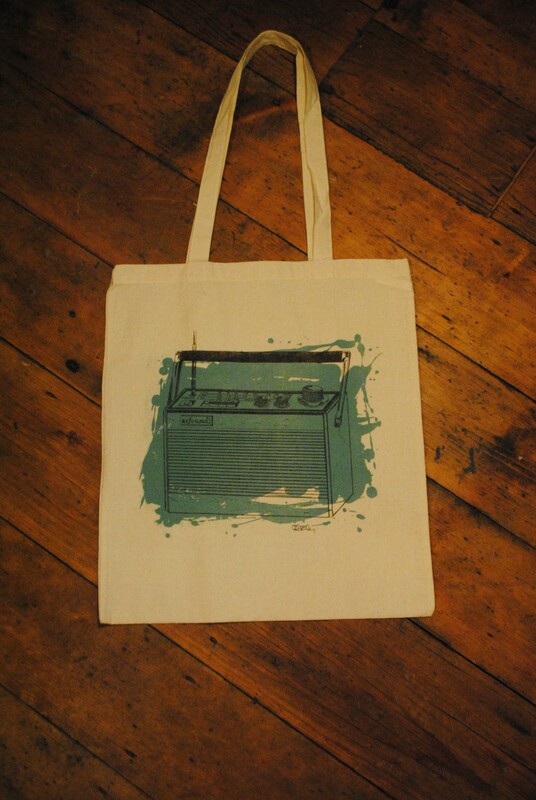 What inspired you to take part in ReFound tote bag competition? One of my oldest and best friends sent me a Facebook link to the competition. The brief captured my imagination straight away due to my obsession with all things vintage. I loved the idea of a ‘refound’ image and knew the perfect item straight away. What’s the story behind your design? The radio in my design came from a second-hand furniture store in Fivemiletown. My husband bought it for me for a grand total of £2, the day after we got engaged, as I loved it so much. It sits in our kitchen and I use it every day. I still love the crackle it makes – I refuse to have a digital radio in the house! What makes recycled, repurposed interior style special for you? One of my favourite past-times is hunting for that special ‘find’ within a set budget from charity shops etc. I love being able to reuse quality items that are being given their second life, I love wondering where they’ve been and what they’ve seen. What do you love about ReFound? I love the whole ethos of ReFound. Our world has become accustomed to a culture of disposable purchase. ReFound not only offers beautiful quality furniture but also a chance to own something unique, original and best of all….locally produced! A big thanks to Deborah for her beautiful retro design, we love her vintage radio and hope it keeps crackling for many years to come! Deborah’s Design at the Printing Press!